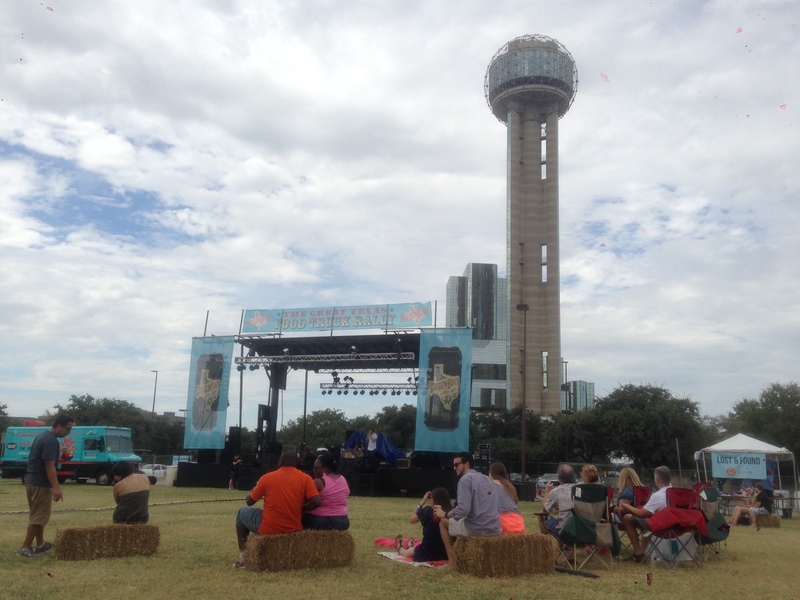 This past weekend was The Great Texas Food Truck Rally in Dallas, Texas and we had the distinct pleasure of attending. We had a great time! We got there a bit early and thereby avoided waiting in lines which meant that we could sample more foodie delights in less time but also we had our choice of delights before supplies starting running low! There was such a wide variety of trucks and eclectic dishes, there was something for everyone whether it was pickle flavored shaved ice cones, to a grilled peanut butter, banana and bacon sandwich, to Mexican street tacos and of course the favorite standbys, hot dogs and home-made ice cream. 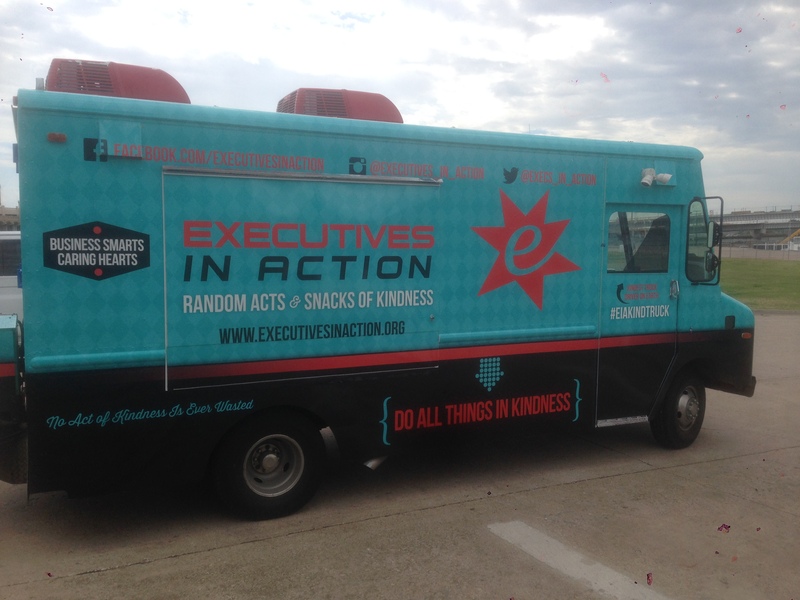 Celebrating its second year, The Great Texas Food Truck Rally was created to benefit Executives in Action, a pro bono firm that supplies consulting advise to other non-profit organizations in the areas of management and organizational needs to help that company operate more effectively and efficiently so that it can support its mission and expand its reach to those in need. Celebrating their 1st anniversary this year, Down to Earth, vegetarian and vegan cuisine and catering based out of Keller, Tx. is owned by two “crazy vegetarians who love to cook!”. Maribel Rubio and Alma Rangel whip together for your delight menu items Lentil Sloppy Joes, Black Bean Burgers or my favorite, Mexican Veggie Torta which has black beans, roasted zucchini, roasted red pepper and a chipotle crema fresca. What about dessert you ask? They have that too! Try the NSB Panini, a French brioche with Nutella, strawberries, and bananas, how can you say no to that! 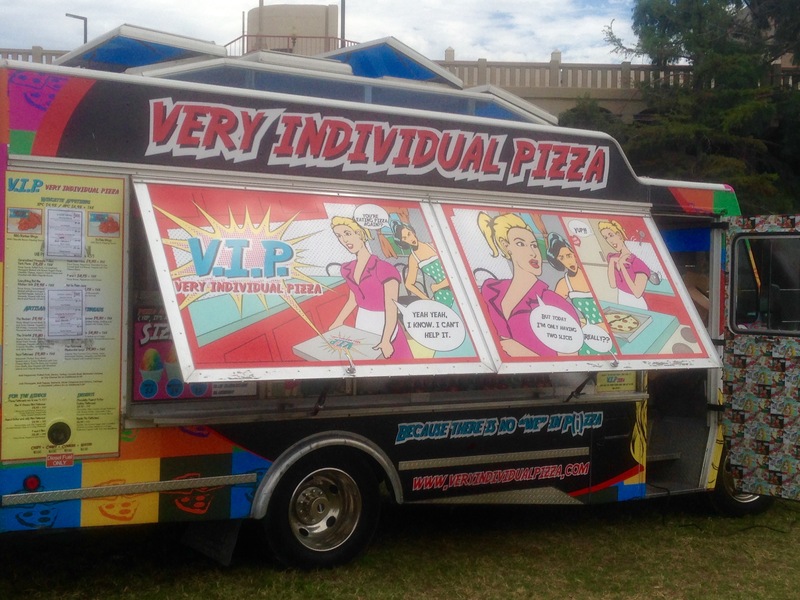 The idea for a food truck was developed after continuous frustrating dining experiences where the vegetarian/vegan selections were minimal at best. They realized that if they were frustrated with menu selections then others would be as well. Being avid foodies themselves they knew that they could create delicious meals that are both good for you taste great! It was then that they decided to embark on a mission to change the way that people think about vegetarian/vegan meals, which is lacking in taste and texture or it was fried. We are all about living a healthy life style by eating healthy delicious meals without compromising or negotiating being a foodie… we CAN have it all! What are the future plans for Down to Earth? Rubio and Rangel foresee a dream of opening several restaurants in the DFW metroplex in addition to offering nutrition classes and partnering with local non-profit organizations to offer healthy meals to the homeless and other groups in need. Have a sweet tooth but can’t have gluten or dairy? Then you need to check out The Vegan Noms! Envisioned and created by Allison Catalane who had no intention of relinquishing her beloved sweets in order to eat healthily! After much trial and error, Allison developed her recipes for her delectable cookies and cupcakes, which are quite delectable! Trust me! The Snickerdoodle cookies and Banana Bread Cookies are superb! Allison is a firm believer that a well designed vegan diet will bring harmony to the mind and body. Sweeten your day the healthy way with some of Allison’s vegan desserts! Love pizza? Then you need to try Bellatrino. 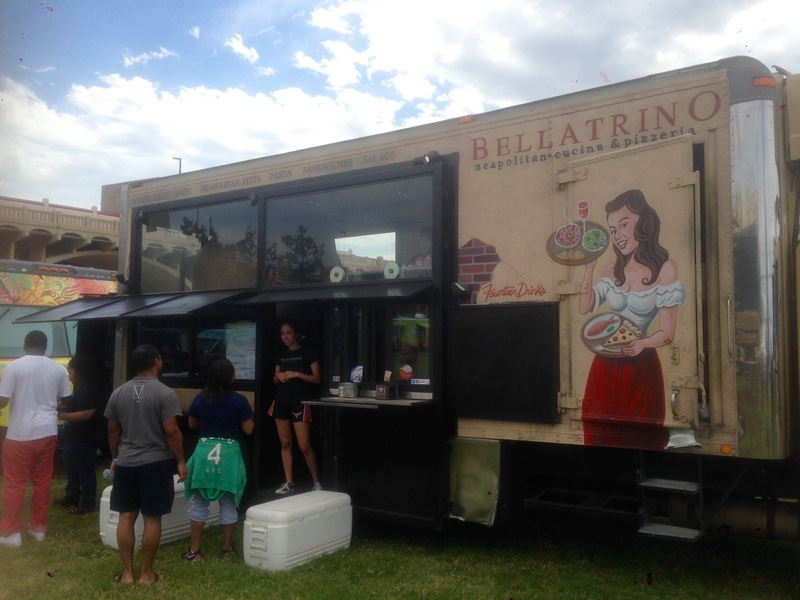 This is not your run of the mill food truck, Bellatrino is based out of Southlake, Tx and is DFW’s ONLY wood-fired pizza oven food truck! 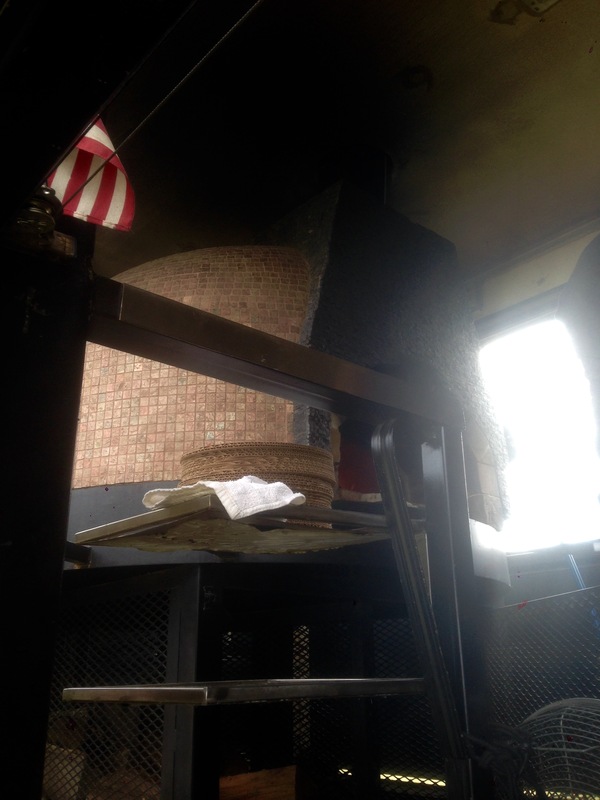 They will create for you a fabulous lightly smoked wood-fired pizza that is full of flavor and delicious melted cheese all you need to do is bring the beer! They also have salads, desserts, and appetizers. Their key ingredients are imported from Italy with its greens bought locally and organic. Parrot Icce, Licensed to Chill is a Hawaiian shaved ice specialty truck that has a large selection of flavors from the old tried and true – raspberry, lemon-lime, and cherry to flavors like fireball, margarita and even pickle! 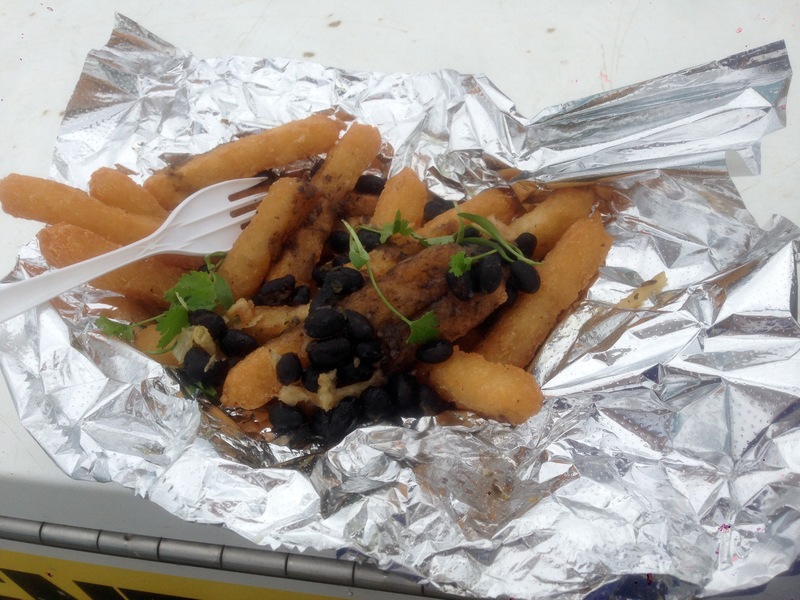 The Guavatree Truck which has been on The Great American Food Truck Race on Food Network is a Cuban American truckstaurant that brings a twist and some uniqueness. The GuavaTruck has been rolling around Texas since 2012 with Onel and Pam Perez at the wheel. The inspiration for their menu was derived from Onel’s traditional Cuban family recipes, with a twist, of course! 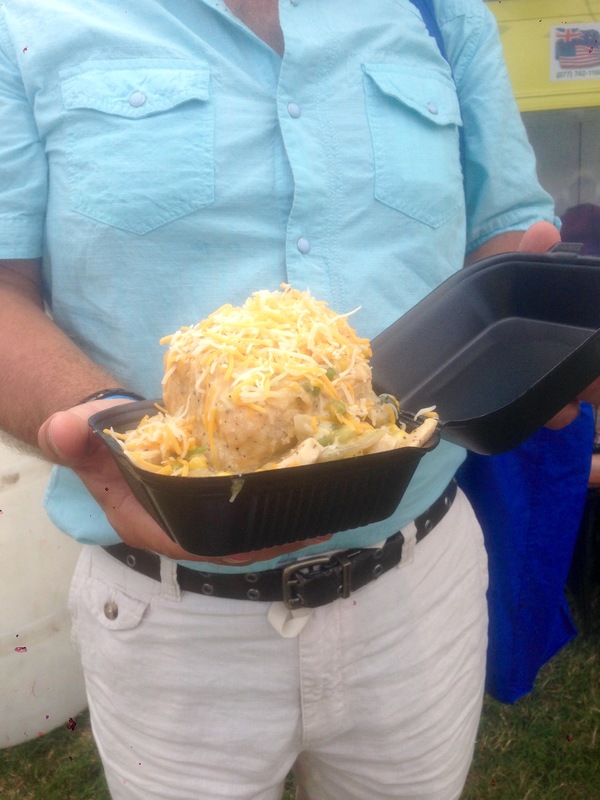 Some of their more popular tasty treats are Cuban sandwiches with guava mustard, Yucca Fries (a very dense and starchy root) loaded with Black Beans, Queso Fresco, Cuban Donuts (a spin on a traditional Guava and Cream Cheese Pastelito), Ropa Vieja, and many other Cuban specialties. The Guava Tree is sure to satisfy your Cuban Fare Cravings. The Great Australian Meat Pie Company is based in Plano, Texas came into existence when the owners returned to the US after spending several years in Australia and decided to offer delicious meat pies from Australia with an American twist.They have a passion to feed people and it shows in the quality of their food. They have some of the best meat pies that I have ever tasted! A tower of delightful flavors!! We had the chicken pie, it was so good with a creamy white sauce with onions, mushrooms, chunks of chicken on a dumpling and all of it liberally sprinkled with shredded cheese. They have a large selection of pie varieties including an Australian mainstay, Vegemite Sandwich. Did you miss this once a year event? Did reading about all this delectable variety of food make your mouth water? Never fear! Every weekend on Woodal Park Freeway, nestled in between the Dallas Museum of Art and Klyde Warren Park you will find a pleasant selection of food trucks, and bistro tables to sit at while you are munching on the assorted tasty delights in addition to being entertained by watching the variety of people who enjoy relaxing in Klyde Warren Park. 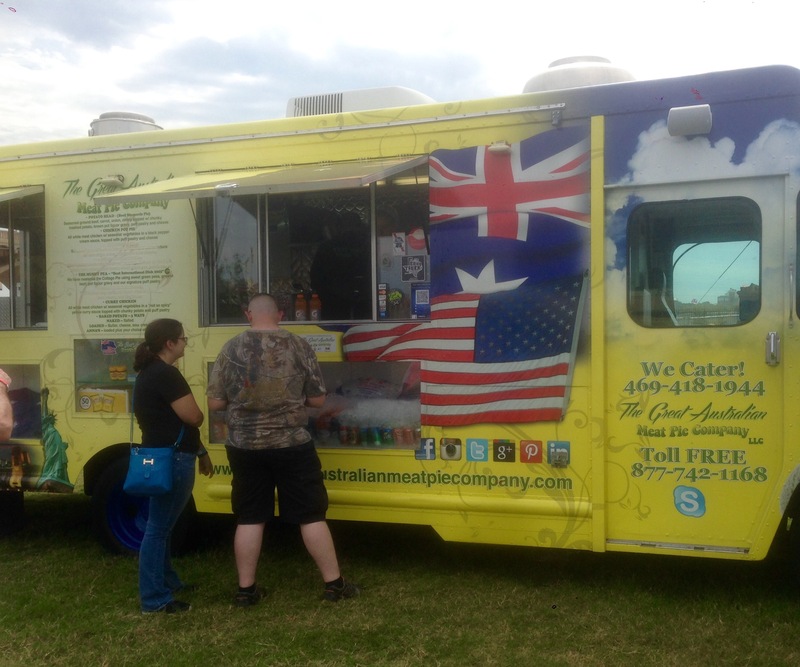 Another food truck haven in the DFW area of Texas is the newly opened Richardson Food Truck Park located at 522 Bishop Ave, Richardson, Texas 75081. They are open Sunday— Thursday 11:30 am-8:30 pm and Friday-Saturday 11:30 am-12 am. Newly remodeled with plenty of tables to sit at to eat your morsel adventures, beautiful landscaping and even restrooms. Here you will find the trucks that I have mentioned in addition to many others. If we are ever in Dallas, this will be a must do! Sounds exactly like the the things we enjoy, eating, traveling, festivals and eating again! It was so much fun! There were so many trucks we could not eat at all of them! Eating, traveling, festivals and, yes, eating again are on the top of our must do’s also!! Thanks for commenting and stopping by! I hope to see you around more! I have never been to a food truck rally either; it’s kind of a sore spot with me. Before the food truck craze started I tried convincing my other half who has always wanted to own his own restaurant that at least starting out with a food truck was the way to go. He thought I was crazy, turns out I’m a visionary. 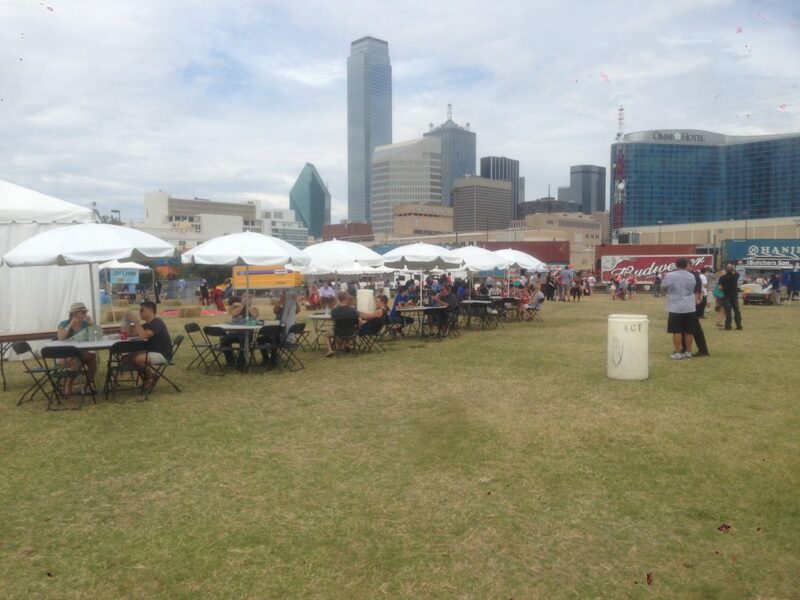 That aside your account of this DFW rally makes me want to go to one and makes me hungry. I want a lentil sloppy joe. I’ve never been to a food truck rally before but I want to now! I was getting hungry just reading your post! 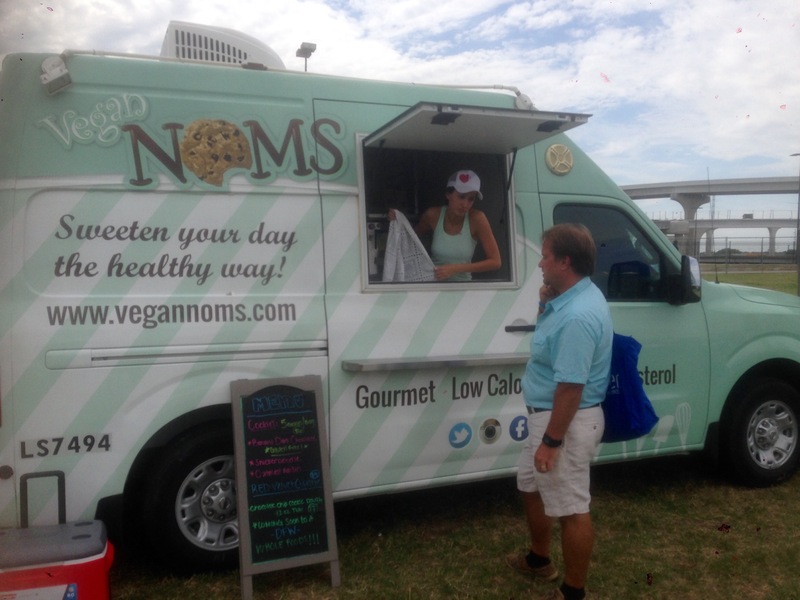 The veggie/vegan food truck must be very progressive for the food truck industry since healthy eating is becoming more widespread. I have plenty of veggie/vegan friends who would love to see more of them around. Heck, I would love it too! It all looks delicious! I am glad that you enjoyed the article! You should see if you have food trucks in your area! It is very nice that healthy eating is finally coming to the forefront and people are acknowledging it!